We remove all traces of crime scenes quickly, professionally, and completely. ONEighty Solutions works with police departments to help restore the community. First responders often face situations that severely impact families. When they turn to you for advice in their time of need, you can feel confident that our professionals will get the job done. 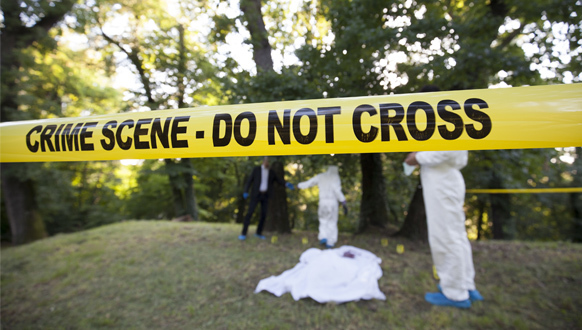 Crime scenes are often contaminated with pathogens that render a home unfit for occupancy. Families affected by crime just want to return to their lives as quickly as possible. We get families back to the comfort of their home after a traumatic event, fast and safely. A recognizable odor can remain after a person dies. It makes an already uncomfortable time for a family even more unbearable. ONEighty Solutions completely eliminates odors related to death, regardless of the circumstances, and helps families return to their lives.